flowing from his wounded side. this alone can sin destroy! new-born souls in you to be. Three in One, your name we praise. Son of God, Son of Man, you gave your body and blood for us sinners. Lord Jesus Christ, we give you thanks. You went down into death for us. You came up into life for us. Your high feast is spread for us. Lord Jesus Christ, we give you thanks and bless your holy name. Amen. Song story: The original Latin text dates somewhere between the fourth and ninth centuries, an Easter hymn that includes many images from the scriptures for Easter Vigil. Robert Campbell translated many Latin hymns into English, submitting his work to the John Mason Neale, the better-known translator of ancient Greek and Latin hymns from the early church. Robert Campbell (1814-1868) was a Scottish lawyer who developed an interest in translating early hymn texts while in his thirties. Perhaps because of his growing interest in the early church, he moved from the Presbyterian to the Episcopal Church of Scotland, and finally to the Roman Catholic Church. Partly as a result of the Thirty Years' War and partly to further his musical education, Jakob Hintze (b. Bernau, Germany, 1622; d. Berlin, Germany, 1702) traveled widely as a youth, including trips to Sweden and Lithuania. In 1659 he settled in Berlin, where he served as court musician to the Elector of Brandenburg from 1666 to 1695. Hintze is known mainly for his editing of the later editions of Johann Crüger's Praxis Pietatis Melica, to which he contributed some sixty-five of his original tunes. Johann Sebastian Bach (b. Eisenach, Germany, 1685; d. Leipzig, Germany, 1750) came from a family of musicians. He learned to play violin, organ, and harpsichord from his father and his older brother, Johann Christoph. Bach's early career developed in Arnstadt and Muhlhausen, particularly at the court of Duke Wilhelm Ernst in Weimar. During this period he composed cantatas and most of his large organ works. In 1717 Bach became director of music for Prince Leopold in Anhalt-Cathen, for whom he composed much of his instrumental music-orchestral suites and concertos as well as The Well-Tempered Clavier. In 1723 he was appointed cantor of the Thomas Schule at Leipzig and director at St. Thomas and St. Nicholas churches and at the University of Leipzig. 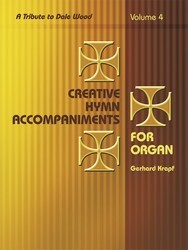 During that time he wrote his large choral works, 165 cantatas, and more compositions for organ and harpsichord. Although Bach's contribution to church music was immense and his stature as the finest composer of the Baroque era unparal­leled, he composed no hymn tunes for congregational use. 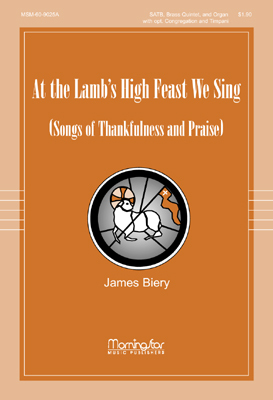 He did, however, harmo­nize many German chorales, which he used extensively in his cantatas, oratorios, and organ works. 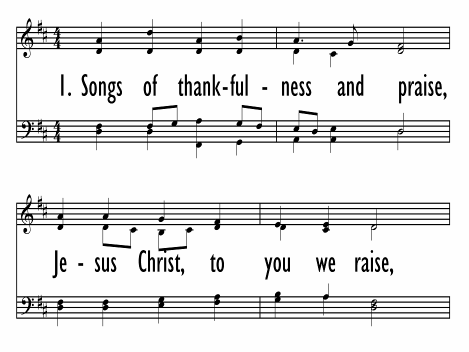 These harmonizations were published posthumously by his son Carl Phillip Emmanuel as 371 Vierstimmige Choralgesiinge.